In the late summer of 2013 we had the pleasure of visiting DEAU Cognac; a brand that we were aware of, but were not yet that familiar with. It gave us the chance to both meet some wonderful people, and also to taste some very fine cognac. Discovering the production facilities, the chai (cellars) and of course the distillery was a real pleasure. 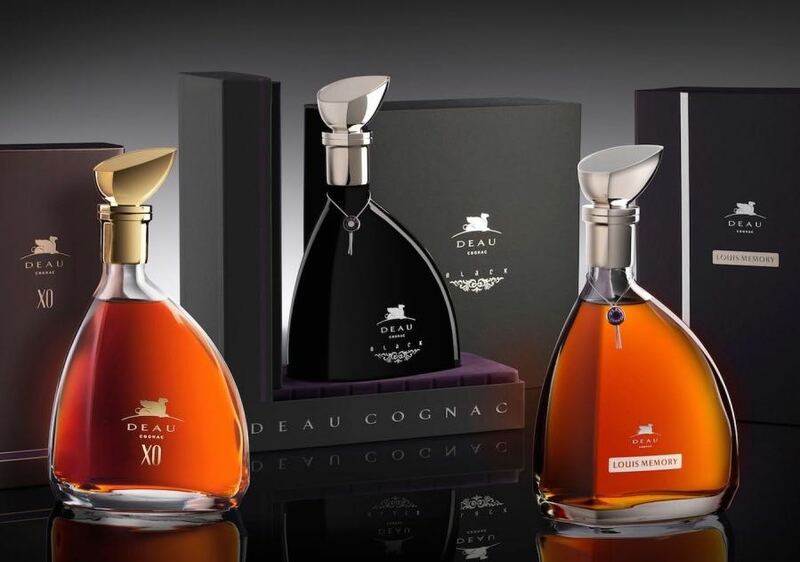 DEAU’s trilogy Cognac is a secret champion – smooth, outstanding quality. Even the trip to get there gave us a warm feeling about our beloved cognac. It was only a month before the start of the harvest, and the drive took us through vineyards full of juicy green grapes. 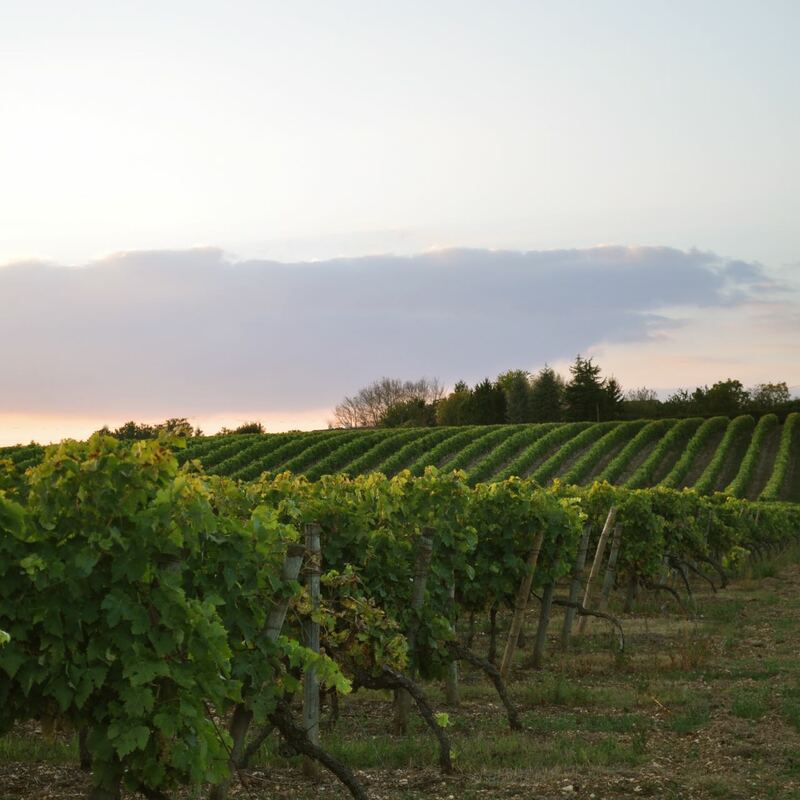 DEAU is located in the heart of the Fins Bois region, and we were amazed to see the cognac house‘s vast amount of vineyards. It was like arriving in a village that had dedicated its entire mission to the production of eaux-de-vie. At the helm of DEAU Cognac is Veronique Bru Legaret. We were greeted by this elegant lady, along with DEAU’s master blender Phillipe Fillon. They could not have made us feel more welcome, Veronique with her generous manner, and Phillipe with his incredible knowledge of cognac. We also really appreciated their charming understatement – this often promises quality more than grand gestures. On our tour of the premises we were given the opportunity not only to look at the various products DEAU already has on the market, but also a product that was due to be released in Hong Kong DEAU, L.V.O. La Vie en Or. That really was a privilege and pretty exciting for cognac fans like us. Phillipe took us on a guided tour, where we had the opportunity to taste DEAU XO, DEAU Black Cognac and DEAU Louis Memory Cognac. 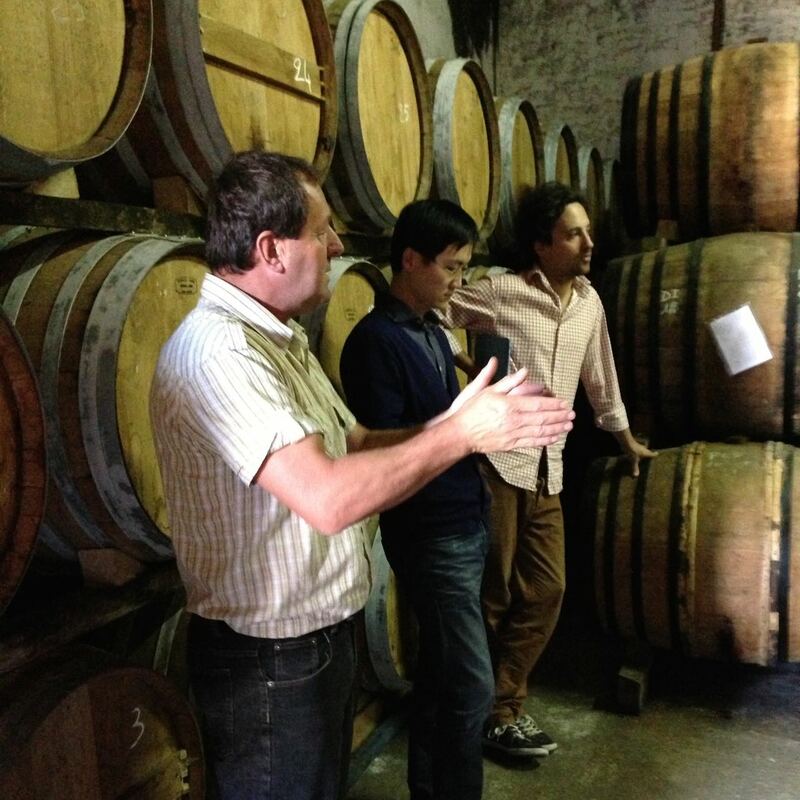 We visited cellars that were crammed with hundreds of barrels. Some of these were enormous, the size of two men. It was fascinating to see how all the barrels were labeled, and a joy to follow Phillipe navigate the labyrinth, knowing each and every detail of each and every eau-de-vie aging here. 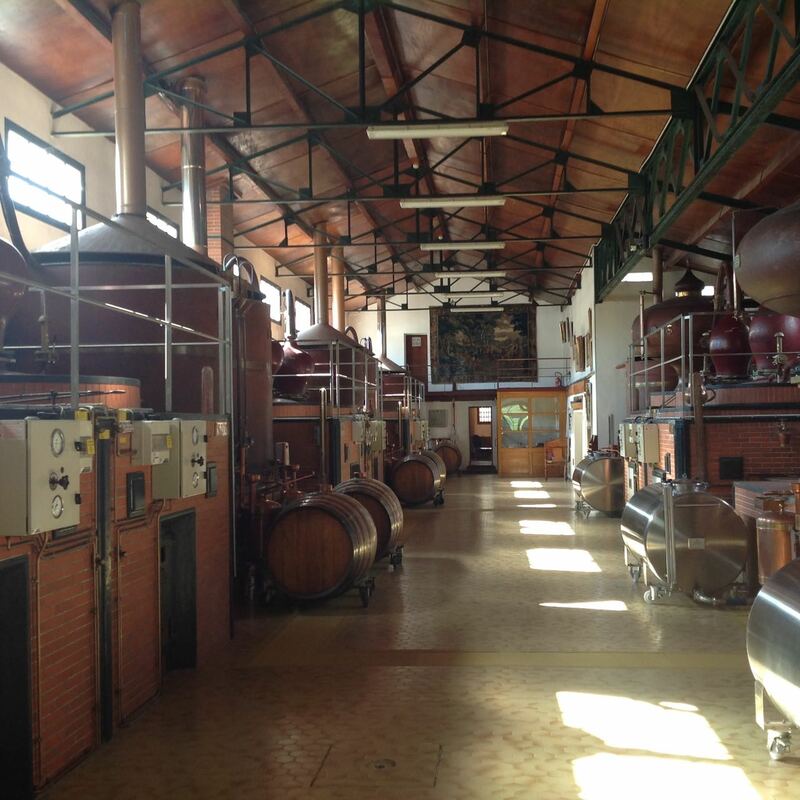 After visiting the cellars we went to the distillery – the heart of DEAU’s cognac production. If you’ve ever had the chance to visit a distillery, you’ll know that this truly is a place of alchemy: slender apparatus, stannic tubes, pipes, and of course, the place where the magic is performed – the pot stills. 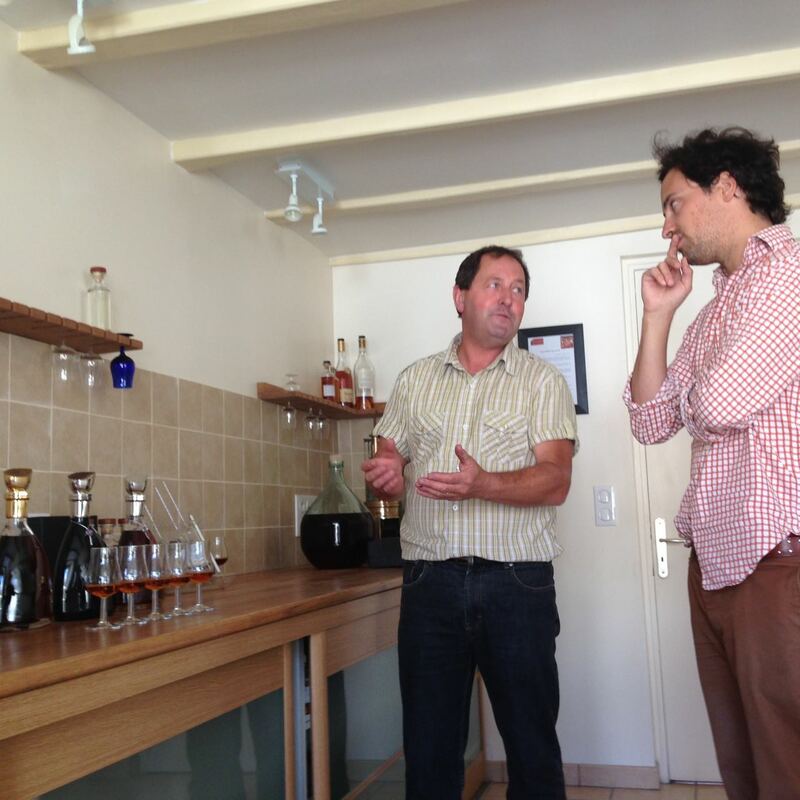 We were given the chance to taste the magic that is Deau Cognac. We tried DEAU XO, DEAU Black and DEAU Louis Memory. And they showed us their two beautiful DEAU Cognac Tasting Box Sets: One with the trilogy of XO, Black and Louis Memory, the advanced version is with the trilogy + VS, VSOP and Napoleon qualities! 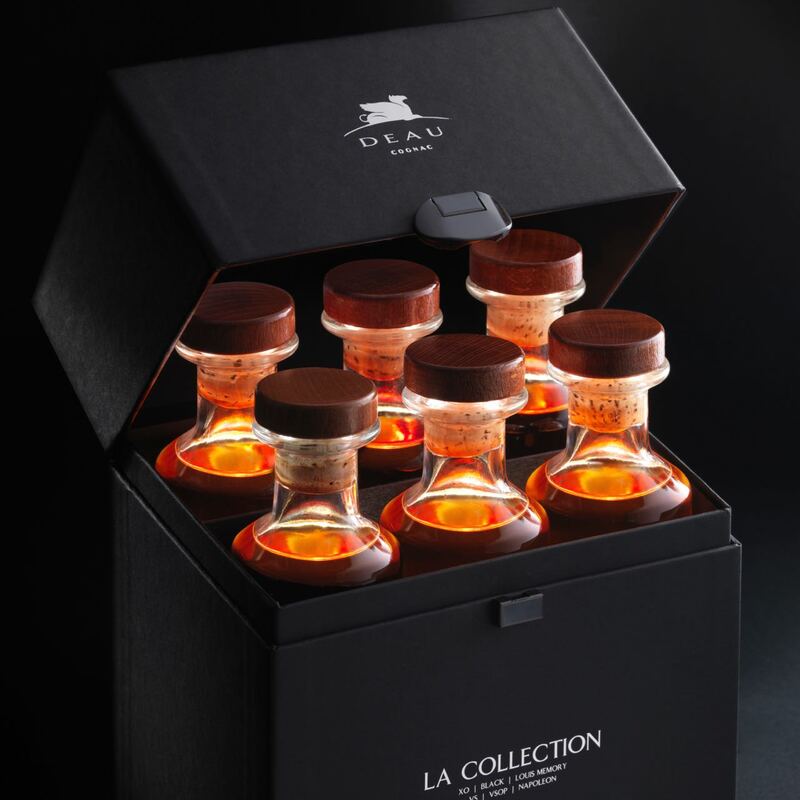 This tasting set contains the XO, Black and Louis Memory in small, 0.2 litre bottles, each designed in the manner of the samples that the cellar master uses to combine and blend the different types of cognac. It’s the perfect gift for any cognac aficionado, as well as a great way to learn a little more about cognac tasting. 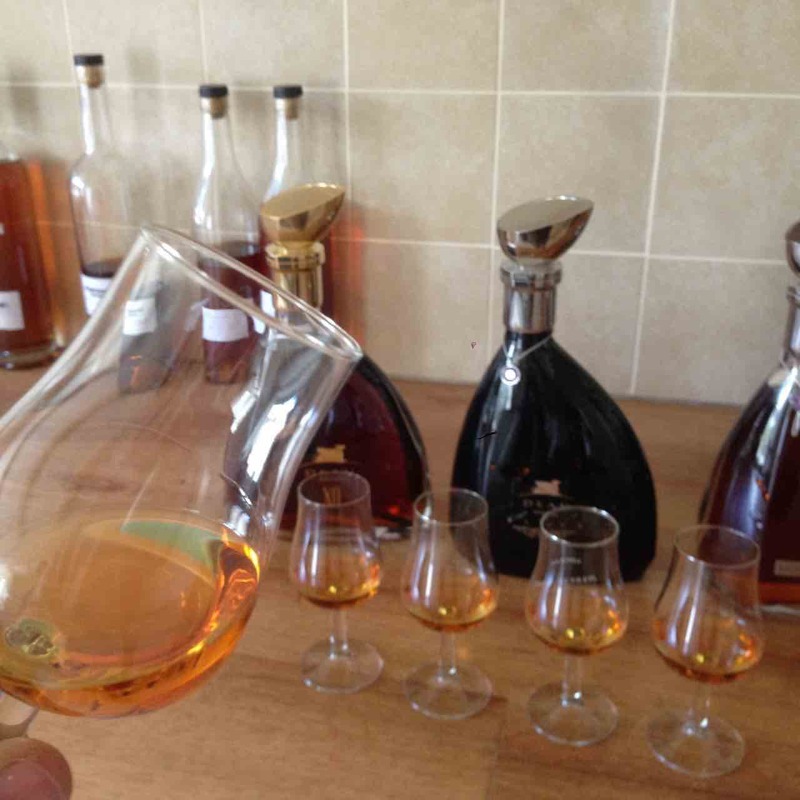 During our tasting experience we first contemplated on the colors of the three different cognacs. The DEAU XO is dark yellow – almost an amber hue – whereas the DEAU Black is much lighter in shade, kind of like acacia honey. DEAU Louis Memory was the darkest of the three, with an almost maroon-like glow. And then we moved onto the tasting itself. The DEAU XO was stunning, not only because of the taste, but in the way it begins subtle, then gets stronger, and finally reaches a crescendo before slipping effortlessly into a smooth finish. The taste is incredibly rich, bringing to mind hints of flowers, jasmine, and notes of fruits such as dried plums, apricots, and wild peaches. In comparison, DEAU Black Cognac is far softer, perhaps one could say a more elegant blend. It is a combination of both Grande Champagne and Petite Champagne cognac. We could taste southern fruits with ground ginger, well balanced floral tones along with iris and orange blossom. And then there is the DEAU Louis Memory Cognac – the winner of elegant understatement. 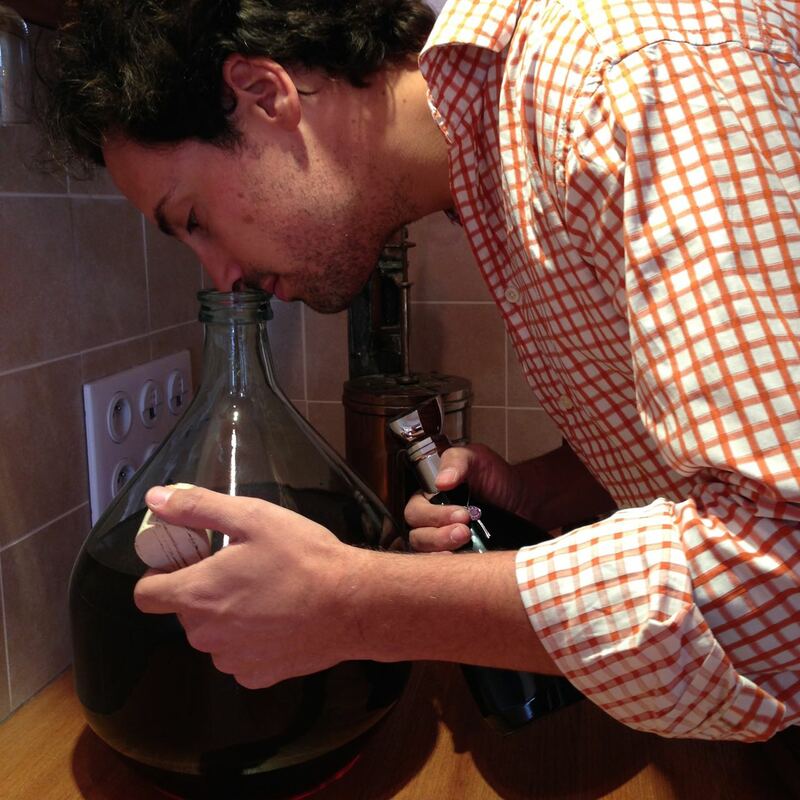 The nose teases you with sweet aromas, while the taste on the palate is rich and deep. It seduces with smooth hints of vanilla and cinnamon, boasting wide rancio aromas with hints of black cardamom. What a treat!